Coming off his first full year as University of Houston Cougar Football Head Coach, Tony Levine is looking toward the future with a new football stadium on the way and a move to the Big East in 2013. Levine will speak to the Bauer College Alumni Association (BCAA) on Feb. 21 during the February installment of the group’s monthly networking breakfast series. Introduced as the 12th head coach in Houston history on Dec. 22, 2011, Levine made an emphatic national statement in his opening game as the UH head coach, beating No. 22 Penn State, 30-14, in the 2012 TicketCity Bowl. Each fall and spring, BCAA holds monthly breakfast events that allow alumni to network and hear from some of the city’s top executives. The breakfasts are held on the third Thursday of each month at Houston City Club from 7 to 8:30 a.m. For more information on BCAA events, click here. To register for the Feb. 21 BCAA breakfast featuring Tony Levine, click here. Tony Levine is the head football coach for the University of Houston. Levine has spent four seasons on the UH staff, and named the 12th head coach in Houston history in Dec. 2011. Levine has spent 16 years in the coaching ranks, including stints at all levels of football, from a high school assistant coach, to a two-year stop with the Carolina Panthers of the NFL. Levine began his coaching career in 1996 as an assistant coach and freshman head coach at his alma mater, Highland Park (Minn.) Senior High. Levine worked as an assistant coach at Texas State, assisting with the wide receivers in 1997 and coached the tight ends in 1998 and 1999. Before coming to Houston, Levine spent two seasons with the NFL’s Carolina Panthers, serving as the assistant special teams and assistant strength and conditioning coach. Prior to Carolina, Levine coached at the University of Louisville, where he was responsible for the overall day-to-day operation of the school’s football program. 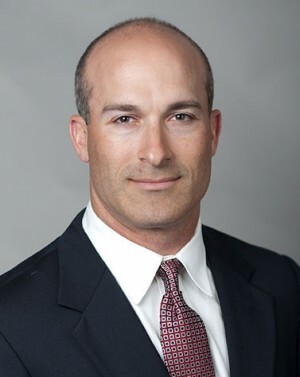 Levine earned a bachelor’s degree in kinesiology with an emphasis in sports management from Minnesota and also holds a master’s degree in physical education from Texas State and an educational specialist degree in adult education from Auburn.